fag is y name – cool ! Cant someone ban all these freaking fanboys that only post abussive stuff? getting pretty annoying reading their crap. Should add that I mean those who post their crap in the commenting section, not the actual upload. someone should ban you for 3 reasons. 1, your dumb name. 2,your abusive attitude. 3, the fact that i feel less intelligent after reading your dumbass comments, clearly immature. Is that your attempt at getting me to shut up ? If it is that was pathetic….. try again this time try harder because that was pathetic. Reading your poorly written comment made me lose a lot of brain cells. Listen! This is not fake! Mod is in developmend but video is fake! If you continue to wind people up on my website you will be banned. This is your first and last warning. your a moderator .. dont make me laugh.. if you are ban me right now… NO BECAUSE YOU CANT. do you know what you are doing is tantamount to bullying.. and internet bullying is a crime… if you continue..every post you do will be sent to the police..and you will be prosecuted. and if you are underage.. like i think you are .. your parents will be prosecuted in your place. 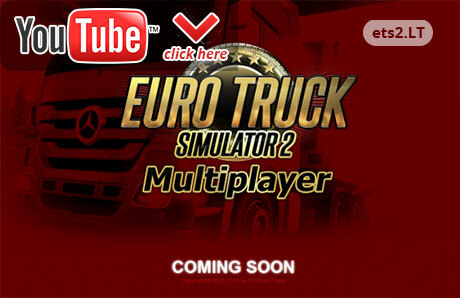 http://ets2mp.blogspot.com/2013/04/one-date-which-will-make-your-dream.html NOOBS HERE LOOK NO FAKE! Do not post links in the comments section. You have been warned ,if i see you posting more links you will be banned. just a question… why can’t we post links in thhe coment section? They’re allowed to post links in comments. those are just AI trucks , players don’t drive like this !! True! Truck with so called multiplayer drivers are driving exactly like an AI trucks… Straight into lane, hard braking, fast accelerating… Another stupid fake! This seems work actually, I just can´t get pass the surveys, please reply if you know how to do!! lol this video was out on the second day after ets2 mp project announcment. People are working very hard to get this working but apparently it aint so easy. So where im getting at is that this video is 100% fake but it will give us a very good view what its going to be like when its finished. Personally, I wouldn’t use this multiplayer function. Why not? Because people like you see commenting here will be there too. And this “Moderator” person, don’t worry about that, it’s just another fake. Via IP? If so that is not a good idea, you ban legit people also who might have changing IP’s. You cannot ban someone from a website unless you need to login to view it. I should know, I build websites. The video is obviously fake and was uploaded a while ago.. The ets2mp.com website however has been updated. When it was shut down there was a message on the main page, that was removed (but domain kept), and now it says coming soon. I don’t think it’s fake that they’re trying to get it running again. Fake or no fake, it gives you an idea of how much fun a multiplayer would be. I hope the multiplayer mod will work one day,and we can have voice chat and, that load offers go away as people take them, we can see lines of trucks into the “shipment offices” around town.People can start convoys, and just keep having fun with this great game……endless possibilites. I hope SCS sees that the ETS community want’s online multiplayer,so if they are working on a ETS3,they will encorporate it….hinthint 😀 Keep’on trucking! The video is fake, but the multiplayer does exist guys,there is a Project ongoing for about almost a year now and first there would be a test stage, but they thought it is impossible to make a multiplayer mode in ETS2 so they shut it down, now the same guy started again with the project so it is NOT fake! 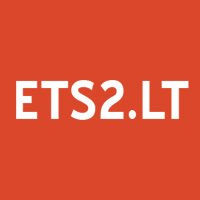 http://ets2mp.com/ this is the projects website. but video is totaly fake…. 6 day . . .
2 day to release ? Será q sai hoje pessoal ? Será que sai hoje pessoal ? hey…..make multiplayer mod first..thee my truck seen on ai truck…..after that …an update to lift mid wheel[6*2] and[6*4] and trailer wheel lifting up…….then …update to by my own mine trailer……..that will be so good like realy life trucking …../////////////ETS 1.5.X \\\\\\\\\\\\\\ the next patch. This is not a virus/spam/etc, it’s real.